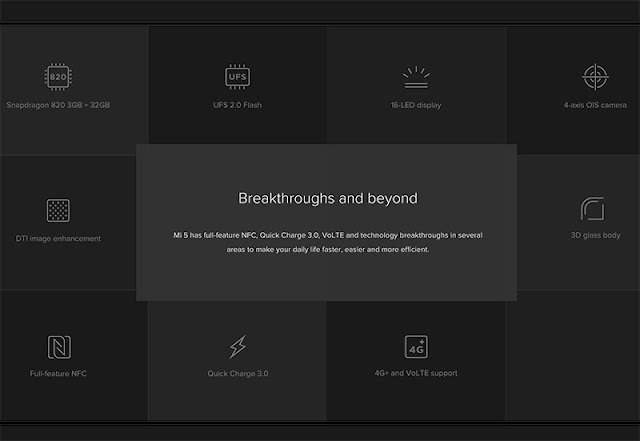 Enjoy customised user interface in Xiaomi Mi 5, Looking to buy a Smartphone that’s works like a thunderbolt? Check out the brand new Mi 5 online on Amazon India. Mi 5 comes with exciting new features that you will surely fall in love with. 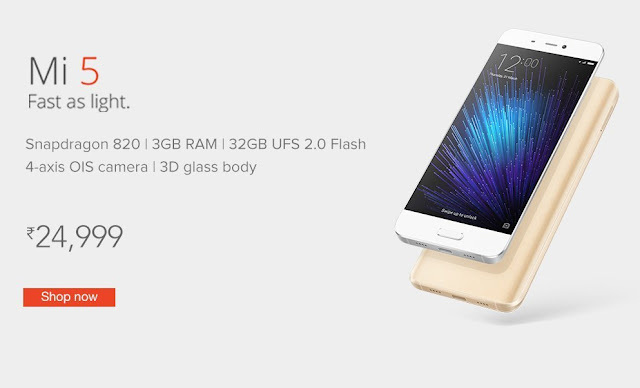 The Mi 5 phone is powered by Snapdragon 820 processor, 32 GB Internal storage, 3GB RAM. The phone is combined with UFS 2.0 flash that’s 87% faster, an Adreno 530 GPU that’s 40% faster, and dual-channel LPDDR4 RAM that’s 39% faster. Experience optimal screen colour and clarity, Mi 5 is unbelievably light weight. 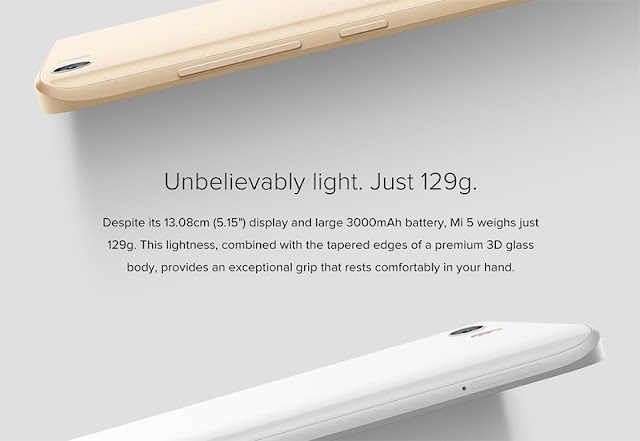 It weighs only 129g, despite of its giant 13.08cm (5.15”) display and a powerful 3000mAh battery. Its lightness, combined with the tapered edges of a premium 3D glass body, provides an exceptional grip that rests comfortably in your hand. Click Images like professional cameras, want to click sharp images, focussed and blur-free ? Get it with the Mi 5 Smartphone. 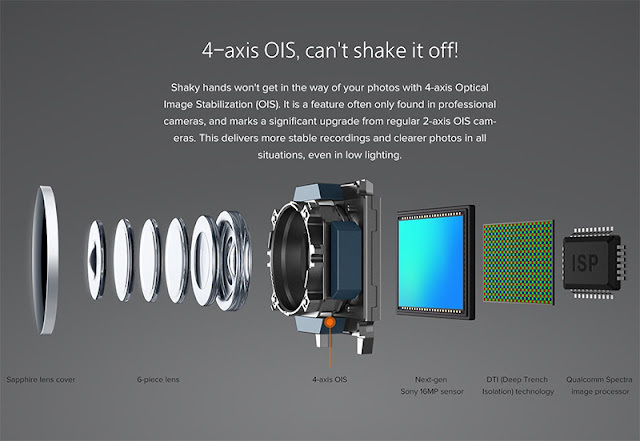 Its has a new and improved 4-axis Optical Image Stabilization (OIS) that won’t let shaky hands get in the way of your memories and delivers clear photos and more stable recordings even in low lighting conditions. The phone has full-feature NFC, Quick Charge 3.0, VoLTE and technology breakthroughs in several areas to make things simple and easy for its users. The Xiaomi Mi5 comes with 16MP primary camera with 4-axis OIS, 6p lens, f/2.0 aperture, sapphire glass lens cover, two tone flash, DTI image enhancement, PDAF auto focus, 32s manual exposure, HDR, facial recognition and 4MP front facing camera. It has a 13.08 centimeters (5.15-inch) IPS NTSC capacitive touchscreen with 1920 x 1080 pixels resolution and 428 ppi pixel density. 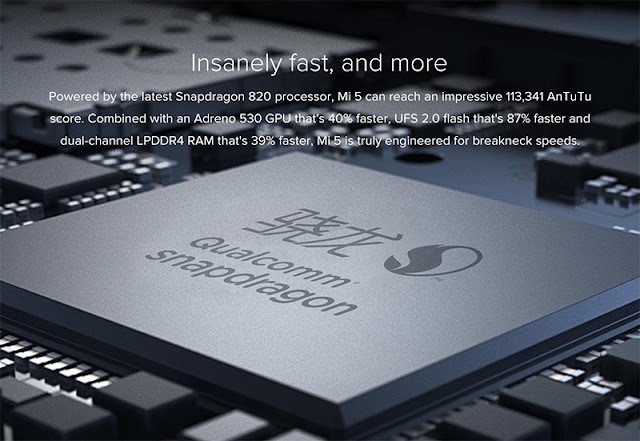 Xiaomi Mi 5 has Android v6.0 Marshmallow operating system with 1.8GHz Kyro Qualcomm Snapdragon 820 quad core processor, 3GB RAM, 32GB internal memory and dual SIM (Nano+Nano) dual-standby (4G+4G). Unlike other Mobiles Mi5 has a 3000mAH lithium-polymer battery which keep on performing awesomely good at low battery as well. At Amazon India Xiaomi Mi5 has 1 year manufacturer warranty for device and 6 months manufacturer warranty for in-box accessories including batteries from the date of purchase.